…stages in this process are the mission statement deals with the present and leads to the future, the, mission statement includes companys objectives which serve internal purposes, the mission statement can change over time, but it still should be, connected to the values, customer need and vision. 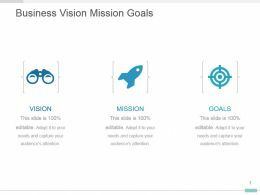 Presenting business vision mission goals powerpoint slide clipart. 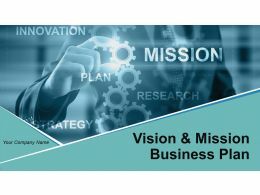 This is a business vision mission goals powerpoint slide clipart. This is a three stage process. The stages in this process are vision, mission, goals. Presenting company vision mission goal strategies presentation slideshow. 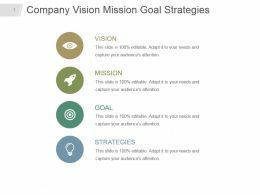 This is a company vision mission goal strategies presentation slideshow. This is a four stage process. The stages in this process are vision, mission, goal, strategies. 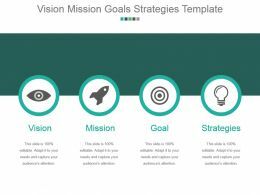 Presenting vision mission goals strategies template powerpoint slide deck. 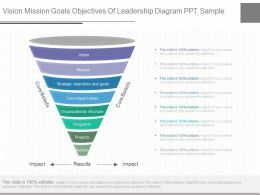 This is a vision mission goals strategies template powerpoint slide deck. This is a four stage process. The stages in this process are vision, mission, goal, strategies. …and goals slide with icons ppt slides. 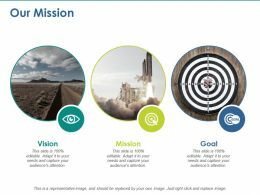 Presenting elegant vision mission and goals slide with icons ppt slides. 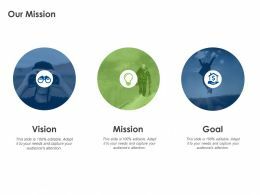 This is a elegant vision mission and goals slide with icons ppt slides. This is a three stage process. The stages in this process are our mission, our vision, vision mission, our goal. 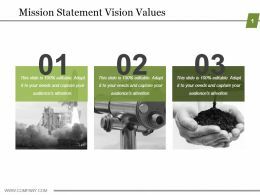 Presenting vision mission objectives goals presentation slides. 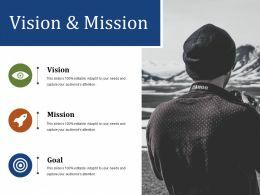 This is a vision mission objectives goals presentation slides. This is a five stage process. The stages in this process are target, arrows, management, business, marketing. …and widescreen support provided. Google Slides compatible visuals. Suitable for use by startups, entrepreneurs, and organizations. Premium customer support service.This is a one stage process. 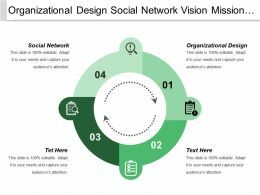 The stages In this process are company mission, mission statement, vision mission goals objectives. 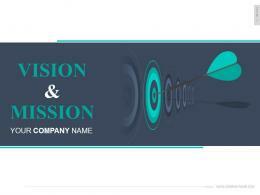 Presenting company vision mission and goal statements ppt icon. 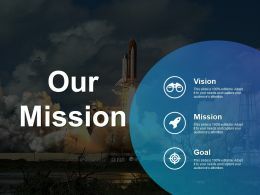 This is a company vision mission and goal statements ppt icon. This is a three stage process. The stages in this process are vision, mission, goal. 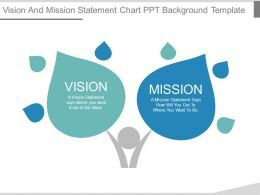 Presenting mission statement vision values ppt images gallery. 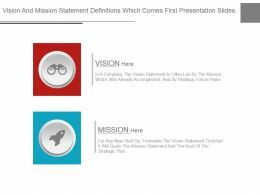 This is a mission statement vision values ppt images gallery. This is a three stage process. The stages in this process are business, mission, vision, strategy, success. 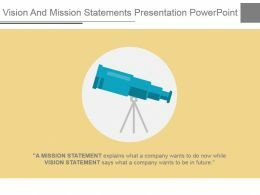 Presenting vision and mission statement powerpoint template. 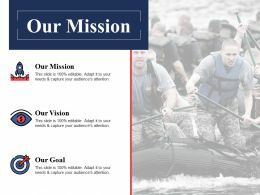 This is a vision and mission statement powerpoint template. This is a three stage process. The stages in this process are vision, mission, goals. 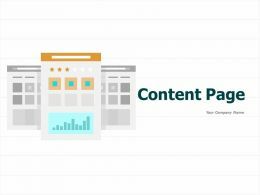 …% High resolution template themes. Manual editing option to step templates design as per specific choice. Click and downloading begins immediately. 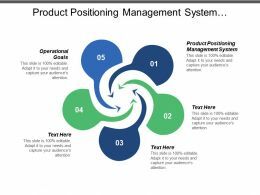 The deck constituents are strategic management, mission statement, vision statement, organization objectives, internal decision making, business terms. …space to insert text and titles. Goes well with Google slides. Downloads swiftly with a click. Can be easily converted into PDF or JPG formats. 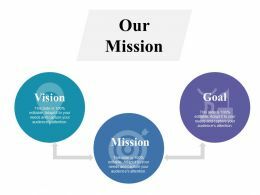 The stages in this process are organization objectives, internal decision making, business terms, vision statement, mission statement, strategic management. 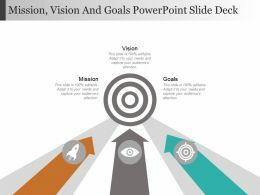 Presenting vision and mission powerpoint templates. 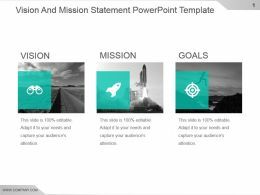 This is a vision and mission powerpoint templates. This is a three stage process. The stages in this process are vision, mission, goal. …tables and designs to enliven a show. Easy to insert company logo, trademark, animation and more. Instantly syncs with all modern software’s. The stages in this process are strategic management, mission statement, vision statement, organization objectives, internal decision making, business terms. Presenting vision and mission statement chart presentation pictures. 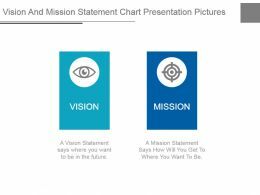 This is a vision and mission statement chart presentation pictures. This is a two stage process. The stages in this process are vision, mission. 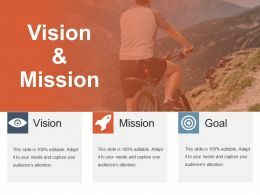 Presenting vision and mission powerpoint images. 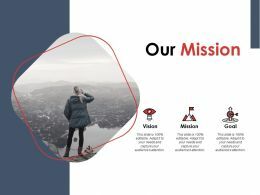 This is a vision and mission powerpoint images. This is a one stage process. 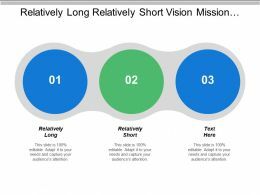 The stages In this process are vision mission goals objectives. 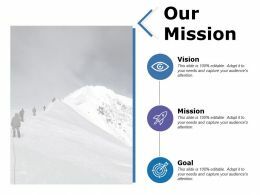 Presenting vision and mission powerpoint slide clipart. 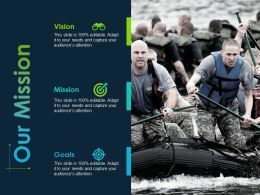 This is a vision and mission powerpoint slide clipart. This is a three stage process. The stages in this process are vision, mission, goal. Presenting vision and mission statement definitions which comes first presentation slides. 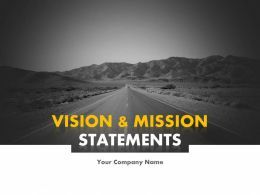 This is a vision and mission statement definitions which comes first presentation slides. This is a two stage process. The stages in this process are vision, mission. 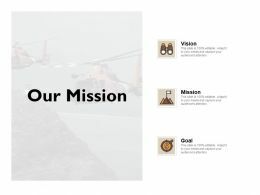 Presenting vision and mission presentation powerpoint templates. 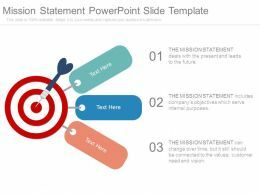 This is a vision and mission presentation powerpoint templates. This is a three stage process. The stages in this process are vision, mission, goal, business, management. Presenting mission vision and goals powerpoint slide deck. This is a mission vision and goals powerpoint slide deck. This is a three stage process. The stages in this process are mission, vision, goals. 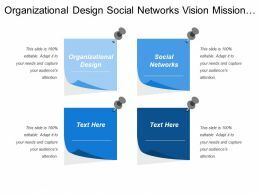 Presenting this set of slides with name - Our Mission Goal Vision Ppt Powerpoint Presentation File Inspiration. This is a three stages process. 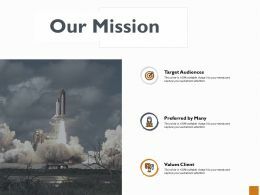 The stages in this process Our Mission, Vision, Goal, Marketing, Strategy. Presenting this set of slides with name - Our Mission Ppt Sample Presentations. This is a three stage process. The stages in this process are Vision, Mission, Goal. Presenting review mission and vision ppt slides. 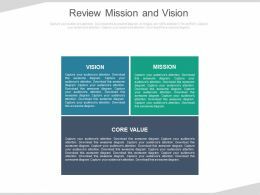 This is a review mission and vision ppt slides. This is a three stage process. The stages in this process are business, strategy. Presenting one page strategy vision goals strategies tactics. 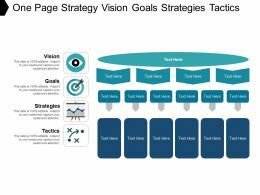 This is a one page strategy vision goals strategies tactics. This is a four stage process. The stages in this process are one page strategy, one page plan, one page idea. 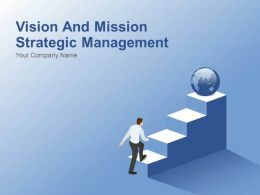 …stages in this process are the mission statement deals with the present and leads to the future, the mission statement includes companys objectives which serve internal purposes, the mission statement can change over time, but it still should be, connected to the values, customer need and vision. 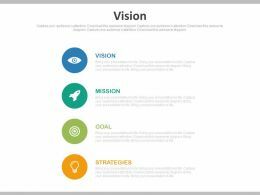 Presenting three boxes showing vision mission and goals with icons ppt slides. 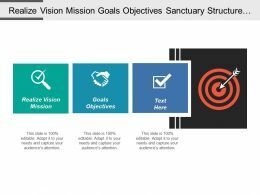 This is a three boxes showing vision mission and goals with icons ppt slides. This is a three stage process. The stages in this process are our mission, our vision, our goals, vision mission. 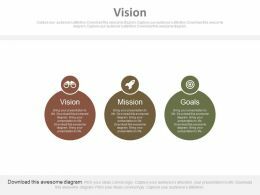 Presenting business vision mission goals presentation template design. 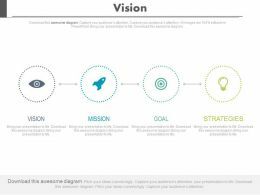 This is a business vision mission goals presentation template design. This is a three stage process. The stages in this process are vision, mission, goals. 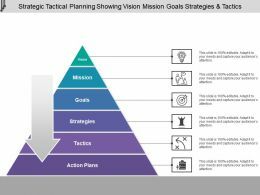 Presenting this set of slides with name - Strategic Tactical Planning Showing Vision Mission Goals Strategies And Tactics. This is a six stage process. The stages in this process are Tactical Planning, Tactical Strategy, Tactical Goals. This is a three stages process. The stages in this process are Our Mission, Vision, Goal, Marketing, Strategy. 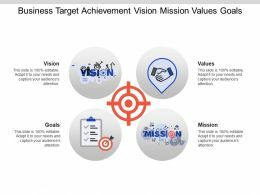 Presenting this set of slides with name - Business Target Achievement Vision Mission Values Goals. This is a four stage process. 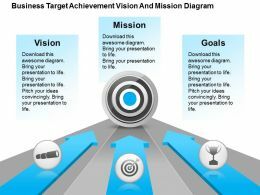 The stages in this process are Business Target Achievement Vision And Mission, Business Goals, Business Objectives. 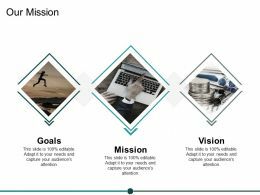 We are proud to present our vision mission and goal diagram 0214. to explain the goal for any business process and its vision or mission use our innovative Power Point slide of goal. This slide is dedicated to show the all kind of financial growth related with any business process. Presenting company mission vision goals ppt presentation. 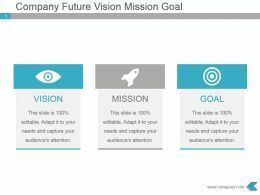 This is a company mission vision goals ppt presentation. This is a four stage process. The stages in this process are mission, vision, strategies, goal. 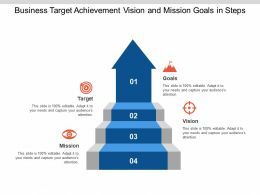 Presenting this set of slides with name - Business Target Achievement Vision And Mission Goals In Steps. This is a four stage process. 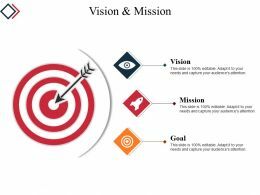 The stages in this process are Business Target Achievement Vision And Mission, Business Goals, Business Objectives. 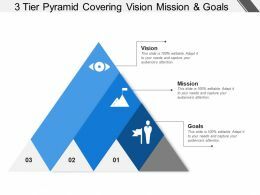 Presenting this set of slides with name - 3 Tier Pyramid Covering Vision Mission And Goals. This is a three stage process. The stages in this process are 3 Tier Pyramid, 3 Line Pyramid, 3 Level Pyramid. 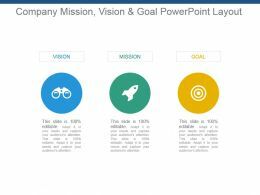 Presenting company mission vision and goal powerpoint layout. 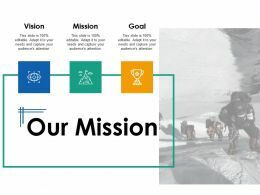 This is a company mission vision and goal powerpoint layout. This is a three stage process. The stages in this process are vision, mission, goal. 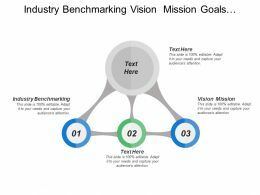 Presenting this set of slides with name - Our Mission Vision Goal Marketing Strategy Target. This is a three stage process. The stages in this process are Our Mission, Vision, Goal, Marketing, Strategy. 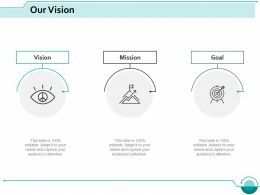 Presenting this set of slides with name - Our Mission Vision Goal Marketing Strategy Values. This is a three stage process. The stages in this process are Our Mission, Vision, Goal, Marketing, Strategy. 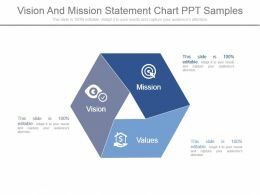 Presenting this set of slides with name - Our Mission Vision Goal Ppt Professional Objects. This is a three stages process. The stages in this process are Our Mission, Vision, Goal, Marketing, Strategy. 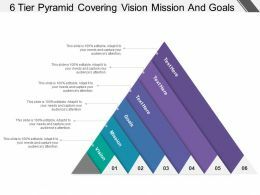 Presenting this set of slides with name - 4 Tier Pyramid Covering Vision Mission And Goal. This is a four stage process. The stages in this process are 3 Tier Pyramid, 3 Line Pyramid, 3 Level Pyramid. 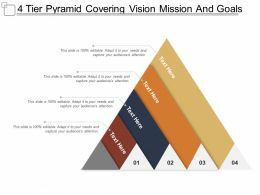 Presenting this set of slides with name - 5 Tier Pyramid Covering Vision Mission And Goal. This is a five stage process. The stages in this process are 3 Tier Pyramid, 3 Line Pyramid, 3 Level Pyramid. 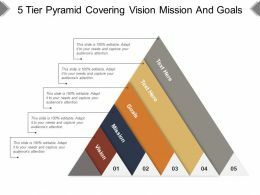 Presenting this set of slides with name - 6 Tier Pyramid Covering Vision Mission And Goal. This is a six stage process. The stages in this process are 3 Tier Pyramid, 3 Line Pyramid, 3 Level Pyramid. 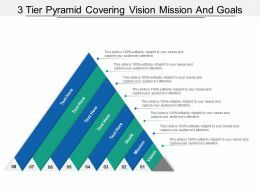 Presenting this set of slides with name - 7 Tier Pyramid Covering Vision Mission And Goal. This is a seven stage process. The stages in this process are 3 Tier Pyramid, 3 Line Pyramid, 3 Level Pyramid. 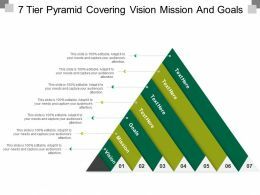 Presenting this set of slides with name - 8 Tier Pyramid Covering Vision Mission And Goal. This is a eight stage process. The stages in this process are 3 Tier Pyramid, 3 Line Pyramid, 3 Level Pyramid. 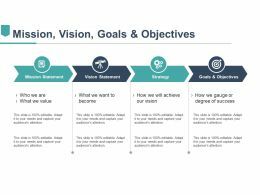 Presenting business mission vision goals and target presentation slide. 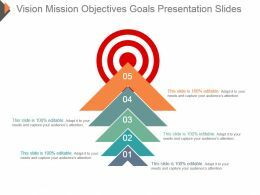 Presenting business mission vision goals and target presentation slide. 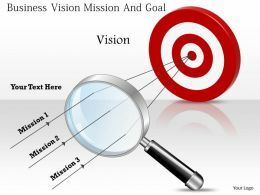 This is a business mission vision goals and target presentation slide. This is a one stage process. The stages in this process are my mission, my vision. 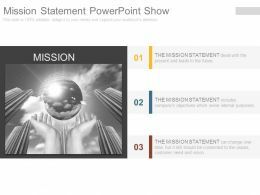 Presenting mission vision goals and values of our business powerpoint templates. 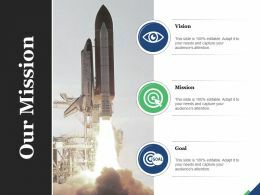 This is a mission vision goals and values of our business powerpoint templates. This is a one stage process. The stages in this process are vision and mission. 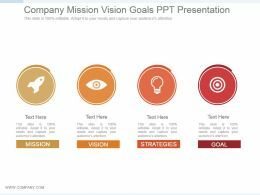 Presenting this set of slides with name - Our Mission Vision Goals Ppt Powerpoint Presentation Visual Aids Deck. This is a three stages process. The stages in this process are Our Mission, Vision, Goal, Business, Strategy. 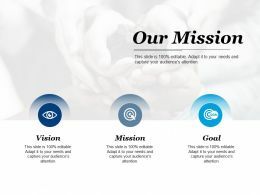 Presenting this set of slides with name - Our Mission Vision Goals Ppt Powerpoint Presentation File Graphics Tutorials. This is a three stage process. The stages in this process are Our Mission, Goal, Vision, Planning, Strategy. 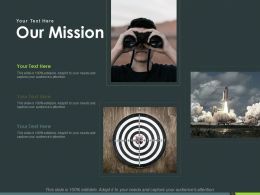 Presenting this set of slides with name - Mission Vision Goals And Objectives Ppt Slide Themes. This is a four stage process. 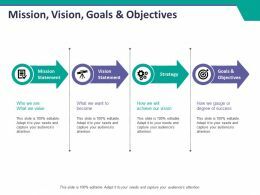 The stages in this process are Mission Statement, Vision Statement, Strategy, Goals And Objectives. 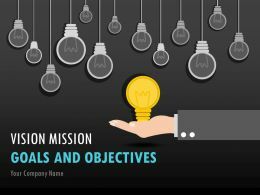 Presenting this set of slides with name - Mission Vision Goals And Objectives Ppt Slides Download. This is a four stage process. 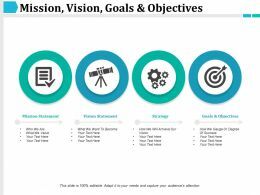 The stages in this process are Mission Statement, Vision Statement, Strategy, Goals And Objectives. 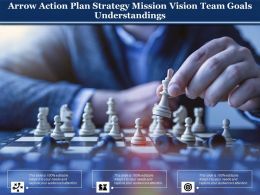 Presenting this set of slides with name - Arrow Action Plan Strategy Mission Vision Team Goals Understandings. This is a two stage process. The stages in this process are Road Sig Arrow Action Plan, Arrow Action Strategy, Arrow Action Approachns Powerpoint, Traffic Signs, Traffic Symbol. 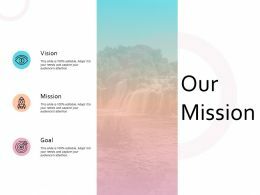 Presenting this set of slides with name - Our Mission Vision Goal Ppt Outline Example Introduction. This is a three stage process. The stages in this process are Business, Marketing, Vision, Mission, Goal. 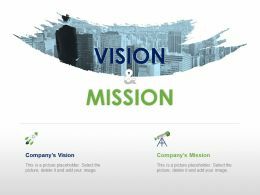 Presenting this set of slides with name - Our Mission Vision Goal Ppt Layouts Background Designs. This is a three stage process. The stages in this process are Vision, Goal, Mission, Value, Management. 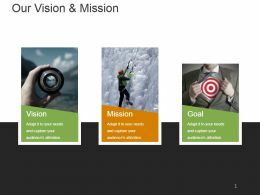 Presenting this set of slides with name - Our Mission Vision Goal Ppt Powerpoint Presentation File Aids. This is a four stages process. 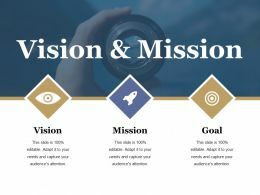 The stages in this process are Our Mission, Vision, Goal, Marketing, Strategy. 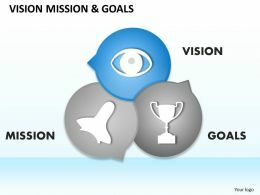 Presenting this set of slides with name - Our Mission Vision Goal Ppt Powerpoint Presentation Icon Layout. This is a three stages process. The stages in this process are Our Mission, Vision, Goal, Business, Strategy. 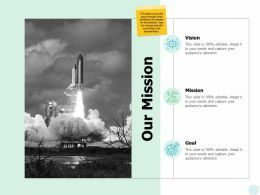 Presenting this set of slides with name - Our Mission Vision Goal Ppt Powerpoint Presentation Infographic Template. This is a three stages process. The stages in this process are Our Mission, Vision, Goal, Marketing, Strategy. 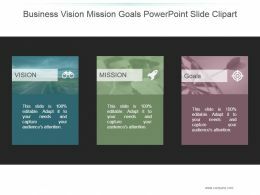 Presenting this set of slides with name - Our Mission Vision Goal Ppt Powerpoint Presentation File Inspiration. This is a three stages process. The Stages in this process are Our Mission, Vision, Goal, Business, Strategy. 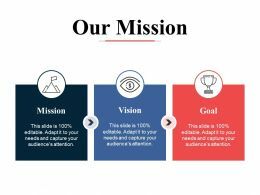 Presenting this set of slides with name - Our Mission Vision Goal Ppt Powerpoint Presentation Gallery Infographic Template. This is a three stages process. The stages in this process are Our Mission, Vision, Goal, Marketing, Strategy. 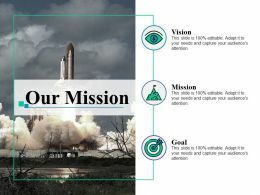 Presenting this set of slides with name - Our Mission Vision Goal Ppt Powerpoint Presentation Gallery Background. This is a three stages process. The stages in this process are Our Mission, Vision, Goal, Marketing, Strategy. 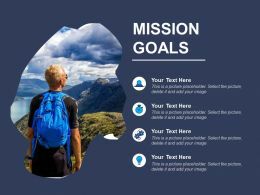 Presenting this set of slides with name - Our Mission Vision Goal Ppt Powerpoint Presentation Infographics Deck. This is a three stages process. The stages in this process are Our Mission, Vision, Goal, Marketing, Strategy. 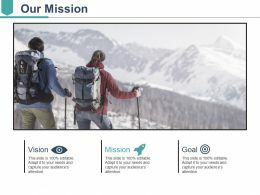 Presenting this set of slides with name - Our Mission Vision Goal Ppt Powerpoint Presentation Gallery Example. This is a three stages process. The stages in this process are Our Mission, Vision, Goal, Marketing, Strategy. 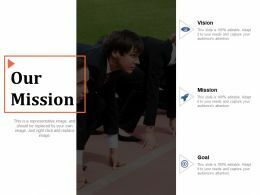 Presenting this set of slides with name - Mission Vision Goal Ppt Powerpoint Presentation File Infographic Template. This is a three stages process. 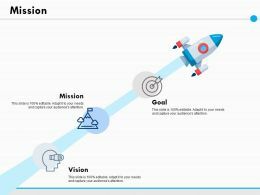 The stages in this process Mission, Vision, Goal, Marketing, Strategy. 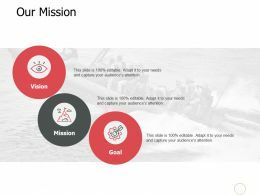 Presenting this set of slides with name - Our Mission Vision Goal Ppt Powerpoint Presentation Model Deck. This is a three stages process. The Stages in this process are Our Mission, Vision, Goal, Marketing, Strategy. 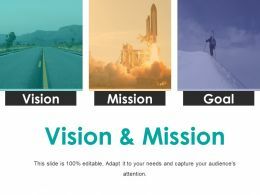 Presenting this set of slides with name - Our Vision Goal Mission Ppt Slides Designs Download. This is a three stage process. The stages in this process are Our Mission, Goal, Vision, Management, Strategy. 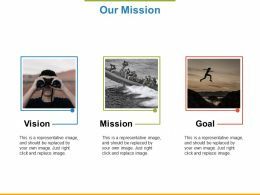 Presenting this set of slides with name - Our Mission Vision Goal Ppt Powerpoint Presentation Inspiration Pictures. This is a three stages process. The stages in this process are Our Mission, Vision, Goal, Marketing, Strategy. 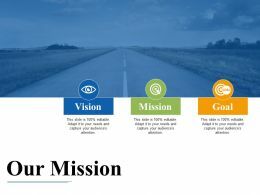 Presenting this set of slides with name - Our Mission Vision Goal Ppt Powerpoint Presentation Outline Files. This is a three stages process. The stages in this process are Our Mission, Target Audiences, Preferred By Many, Values Client. This is a three stage process. The stages in this process are Our Mission, Goal, Vision, Management, Strategy. 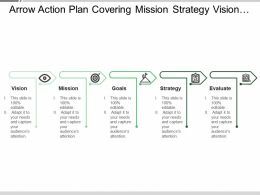 Presenting this set of slides with name - Arrow Action Plan Covering Mission Strategy Vision Goals And Evaluation. This is a five stage process. The stages in this process are Road Sig Arrow Action Plan, Arrow Action Strategy, Arrow Action Approachns Powerpoint, Traffic Signs, Traffic Symbol. 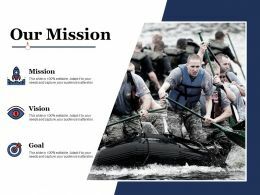 Presenting this set of slides with name - Our Mission With Vision Goal Ppt Slides Brochure. This is a three stage process. The stages in this process are Vision, Mission, Goal, Business.